Weight: 80ml / 2.8 oz. Likes: Cleanses well, incredibly cheap!! Surface active agent (34% Polyoxyethylene Alkyl Ether, Fattyacid alkanolaminde, Alkyl Betaine) Water Softener (alkaline chemicals). 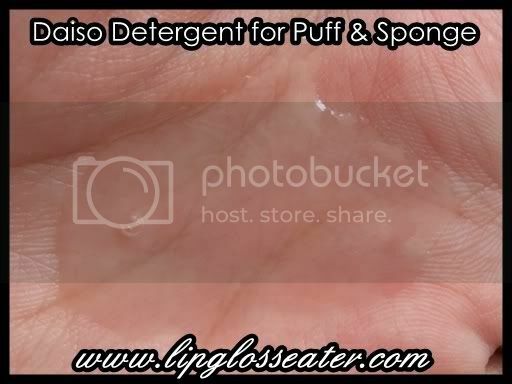 Keeps your makeup toos clean! Safe cleaner mostly composed of detergent kind to the skin and sponges! Disinfecting and Fragrance-free and contains no pigment. 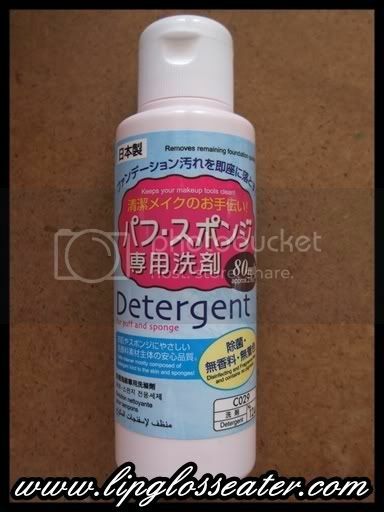 This "detergent" is basically liquid but it has a slight "gel" texture so it's not too runny (which i like!)! It has a funny scent to it which lingers on your brushes, so do check it out first before buying! 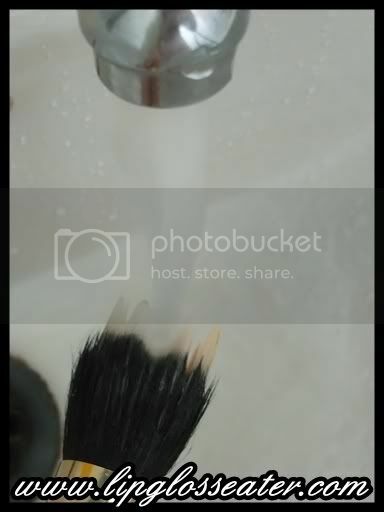 I use this to clean my makeup wedges! 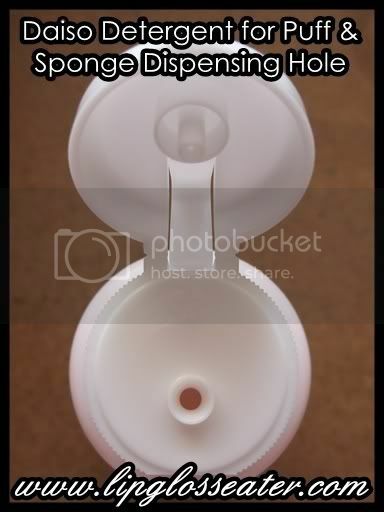 And although this states that it's for cleaning puffs and sponges, i find this superb for cleaning brushes too! 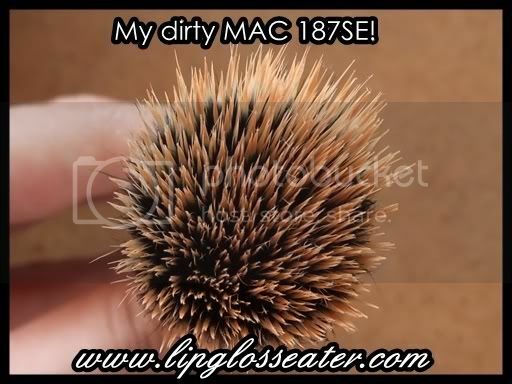 :D Ok, when my brush dried, i noticed that this made the white bristles on my 187SE look "limp". It's probably too harsh for brushes!! 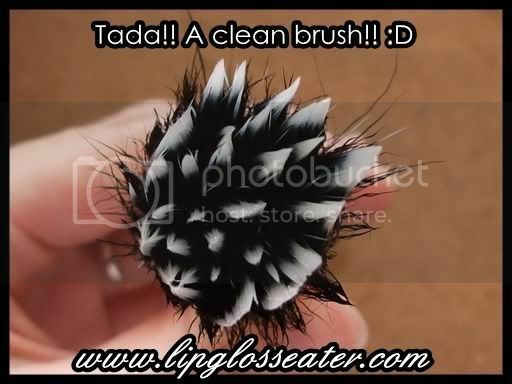 Too bad this one seems a little too harsh for cleaning brushes!! 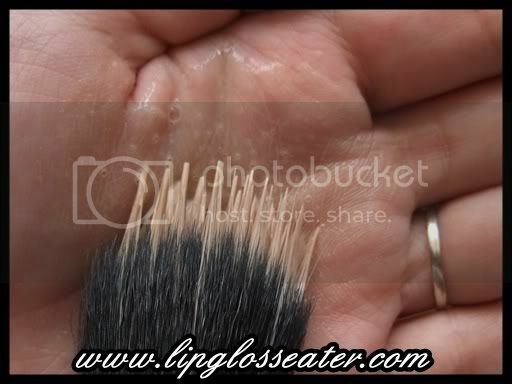 Otherwise it'll make a wonderful (and a helluva cheaper) substitute for the MAC Brush Cleanser! All in all, methinks that this is a great sponge cleanser with an amazing price tag!! see Daiso's name also sian. haha. penang tak ada. which area at KL can buy this? Daiso is available at The Curve and 1U. Check out this link for locations - Daiso Malaysia. Hehehe... do give it a try and see!! :D What are you using currently? ?